Solution: Water, Salt, Sugar, Natural Turkey Broth Powder and Natural Flavorings. There are endless ways to cook a turkey, but our favorite recipes come from Ina Garten, Alton Brown, Julia Child and Martha Stewart. However you prefer to cook your turkey, remember to remove the plastic hanger near the legs, and BOTH bags of giblets (one one each end of the turkey). The last thing you want to do is cook the bird with these paper or plastic items inside. Thanksgiving continues to be our favorite holiday – largely because it so often involves tables of food, and friends and family celebrating together. This year, our local Trader Joe’s was fully stocked with plenty of turkeys, and we were happy to see some smaller sized options compared to last year (pro tip: red wrapper = smaller bird, orange wrapper = larger bird). 2) They’re free range and handled humanely! That’s extremely important to us, and we avoid buying eggs or poultry that isn’t. 3) We like to brine our turkey for maximum flavor and juiciness, and these babies come pre-brined. It’s such a convenience and time saver. The verdict? This year we tried a new cooking approach – we separated the dark and white meat before cooking (Julia Child’s method). The initial prep was a bit extended, but it made for easier carving post-cooking. In the end, we had a juicy and flavorful turkey (though we still prefer the rotisserie approach from last year). 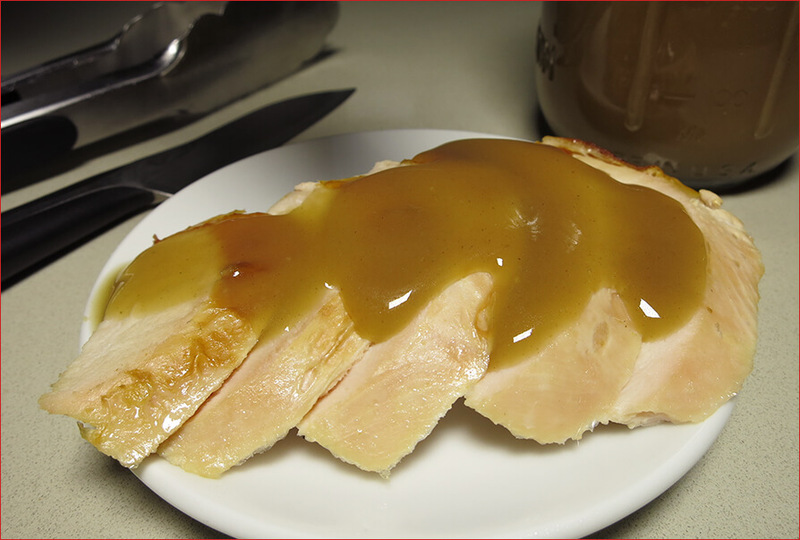 To round out our “test” Thanksgiving, we paired our turkey with Trader Joe’s Turkey Gravy (excellent!) and Trader Joe’s Gluten Free Stuffing Mix (not excellent! ), and even with a “smaller” bird (~14 pounds), we had plenty of leftovers. We’re definitely looking forward to sandwiches, soups, salads, etc. for the next few weeks! 1) They are all natural, and never fed animal by-products or treated with antibiotics or hormones. 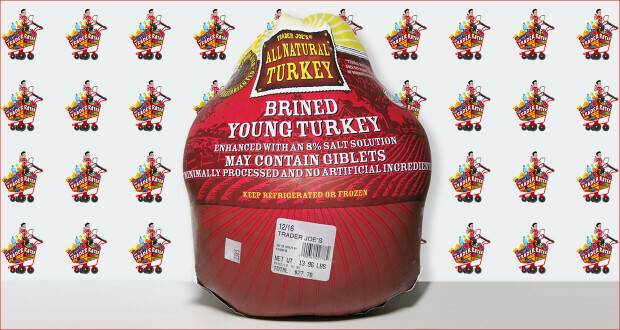 Summary : These plump turkeys come pre-brined, resulting in a very juicy and flavorful bird. No matter how you prefer to cook them, they're sure to be a delicious Thanksgiving treat!